The world is full of sure people. I don’t mean confident people. I mean sure people – sure they’re right and those that don’t agree with them are wrong. They know what is best. They know what is ‘the best’. They know where you should live, what you should wear, drive, read, watch, worship, love, hate, etc. I was more like that until someone made me unsure. In retrospect, they probably did me a favour, but it didn’t have to be so horrible. Ironically, they haven’t changed. I knew what was right and wrong; I really knew what was wrong. I didn’t know that what I didn’t know was more important than what I knew. I’m pretty sure about that. Sure people don’t need to listen to other people, they’re already sure they’re right. They’ve made up their minds. Often, not even facts will alter that. I’m a voracious reader. I can tell you why I like or dislike a book, but I don’t know if you’ll like it. Same goes for TV, movies, restaurants, clothes, technology. But only you can decide. 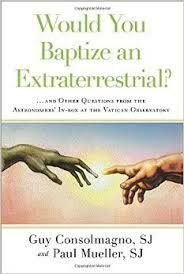 I was thinking of Sure People when reading a surprisingly funny and fascinating book, Would You Baptize An Extraterrestrial? (And Other Strange Questions from the Inbox at the Vatican Observatory) by two witty Jesuit astronomers, primarily involved in research, who try to answer all the wild and wacky questions posed to the Vatican, but in a conversational, refreshing, and unexpectedly, amusing style. 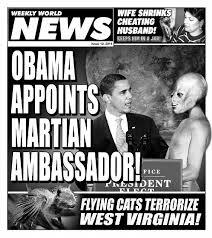 Pope Francis said last year he would baptize a Martian…hmm, are they trying to prepare us for a coming invasion? This book tries to show that religion and science don’t have to be at odds. People can believe in both. Do you think that’s true, dear readers? I certainly think we have more important things to worry about. We too often go for ‘or’ when we should use ‘and’. Economy and the environment, not or. Security and civil liberties, not or. Which brought me to trust, can we trust when we’re not sure? We can observe, listen, use our instincts and critical thinking, look for facts, question, see the world as it is…I prefer reality, if I want fantasy, I’ll watch TV or a movie, read a book or listen to governments. Which brings me back to, the Sures. The more I learn, the more I hear, see, and observe, the more I wonder. I’m only sure of so many things in this world: Love. Compassion. Hope. And cookies, and who knows, maybe those aren’t even what they seem. The ONLY thing I am “sure” about is Change…CHANGE seems to be the only permanent thing! Great writing! There are a lot of people who are sure about things because science tells them to be and science offers proof of its assertions. The unfortunate thing is that scientists know that nothing is 100% and things can change with new information. This is not something many I have met are familiar with – they think once science says one thing, it must be true forever. I have to remind people that not all that long ago, everyone was convinced the world was flat and the sun revolved around the Earth. Such belief was taken as fact. Now we all know the world is not flat, we all know the Earth revolves around the sun and any assertions otherwise are silly. A more recent example would be Pluto. I was raised with the belief that Pluto is a planet. I learned the order of the planets in the solar system with the MVEMJSUNP jingle – My Very Excellent Mother Just Served Us Nine Pizzas. Mercury, Venus, Earth, Mars, Jupiter, Saturn, Uranus, Neptune and Pluto. 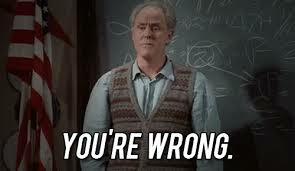 Since my school days, Pluto was reclassified as a dwarf planet rather than a regular planet. Also there is Ceres, another dwarf planet in our solar system. I actually think there is a lot of peace to be found in being open to uncertainty. But then, I’m not sure about that either! I’m not sure about most things and someone telling me something is a sure thing, of course it is, doesn’t sway me in the least. I like to check / weigh / analyse fact myself to make a decision. Cool title for a book! Great post, too. And I think that yes, absolutely we can still trust when we aren’t sure. We can trust that we’re learning something new and expanding our minds, and that we may even come to a new conclusion that is more complete than what we believed before. Wow am I with you on this one. I have no idea when so many peoples brains became full! I knew more at 16 (Because I knew everything) than I do now. Each year I realize how much I don’t know and probably never will. I like the AND instead of OR bit too! Sounds like a cool book. I’ll check it out! 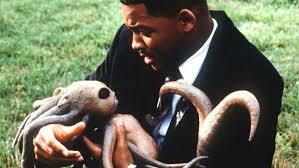 And, yeah, I’d definitely baptize an alien, assuming it was a carbon-based life form. Not that I have anything against beings of light–it’s just hard to get them wet. P.S. The only thing you can know for sure is what you’ve experienced…and even that is unreliable. But I do believe that there are basic principles which have proven themselves over time…like the principle of compassion. I love dropping by your blog—you have a gift for framing serious topics as humor. I tell myself only to be sure of things like math and other things purely logical. Then again, I mess up there, misplacing a digit, etc. Getting ahead of yourself in “being right” is arrogant. Great thought-provoking post Donna. Hard to find the truth these days, our own research, intuition, thinking, etc. will lead us to the right conclusions and truth. I find it – I was going to say amusing, but it’s not – sad how many single-minded people (aka ideologues) are quick to call someone who changes his/her mind a “flip-flopper,” as if it’s a sin to go where deeper thinking or the evidence leads. How much easier it is to label the other guy than to challenge your own thinking. I think changing your mind can be a sign you were open, to deeper thinking, different information, facts, etc. And it’s much too easy to label. My previous comment wasn’t clear – I meant to say I find it sad. Sorry for the confusion. I made some awesome chocolate chip cookies the other day. they were great, Mr. T loved them. 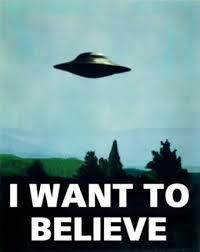 Well, does the extraterrestrial even want to be baptized? Or do its parents want it baptized? Great post, you have inspired me to go and buy the book. The authors and publisher will be very pleased to hear that. Italy, like every country probably has its pros and cons, but the food, oh the food must be magnificent!